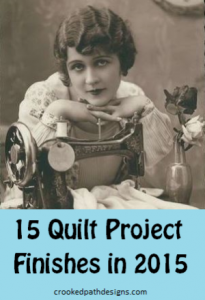 I was first introduced to the concept of using up scraps as leader and ender projects when machine piecing other quilt tops on Bonnie Hunter’s old Quiltville website. If you are not familiar with leaders and enders, Bonnie has written about it here. At the time, I had 2 inch squares saved up because I had planned to EPP a scrappy hexagon flower quilt. 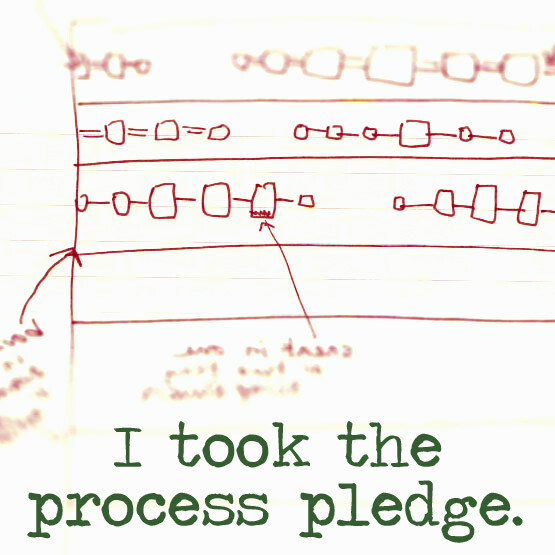 I discovered Inklingo before I started that EPP project and (thankfully!) used Inklingo to print my scrappy .75 inch hexagons instead. 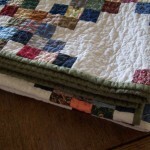 I used those 2 inch squares in scrappy Irish Chain leader ender projects. 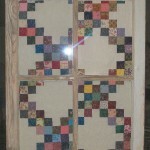 I think I made (and sold) a full-sized and 2 lap-sized quilts and 2 of the quilt-backed windows. 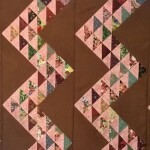 I’ve also done some 9 Patch blocks as leader enders and used larger scraps for the alternating blocks and setting triangles. 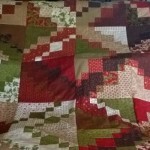 Both of these quilts have 130 9 Patch blocks. 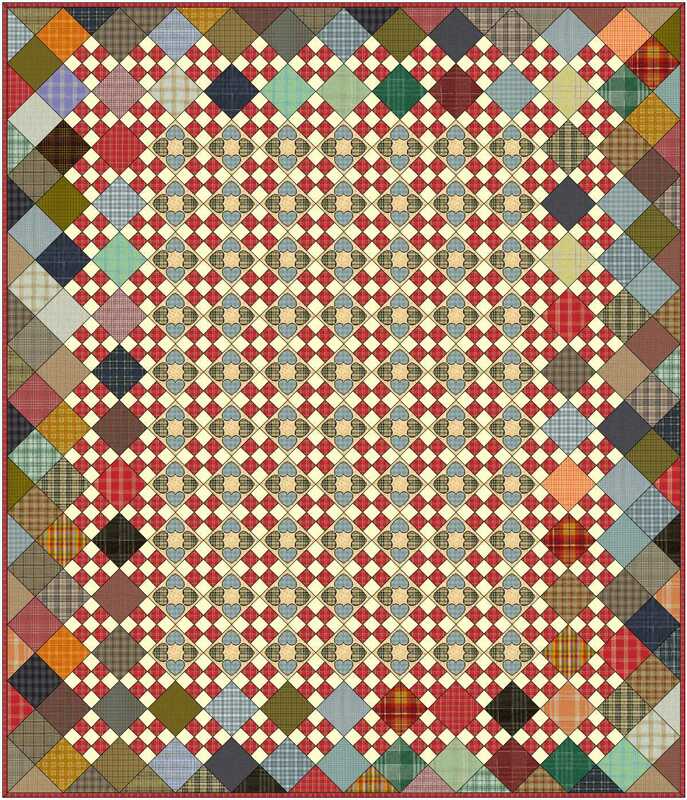 Made with scrappy 9 Patch and alternate blocks. 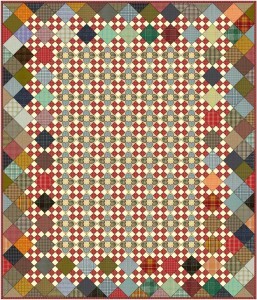 Made with 2-color 9 Patch and plaid alternate blocks. 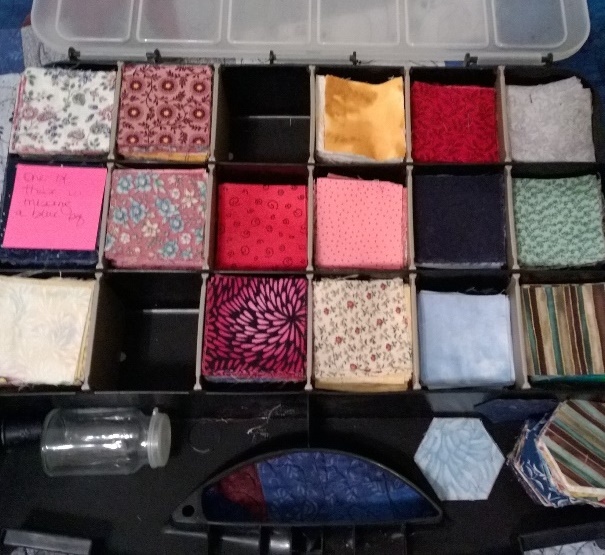 I toyed with the idea of some sort of applique on the alternate blocks for the first 9 Patch quilt before I decided to just go completely scrappy. 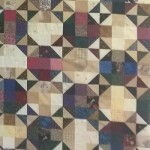 While I was finishing up quilt tops in October and November, I completed another 130 9 Patch blocks using 2 inch squares. This new set of blocks is made with 5 light fabrics and 4 dark fabrics. 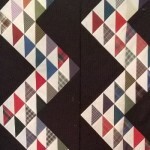 I am revisiting the idea of applique in the alternate blocks. Maybe some type of flower? There is an On Point Inklingo Collection that includes squares with appliqued hearts. Maybe something like this EQ7 layout? 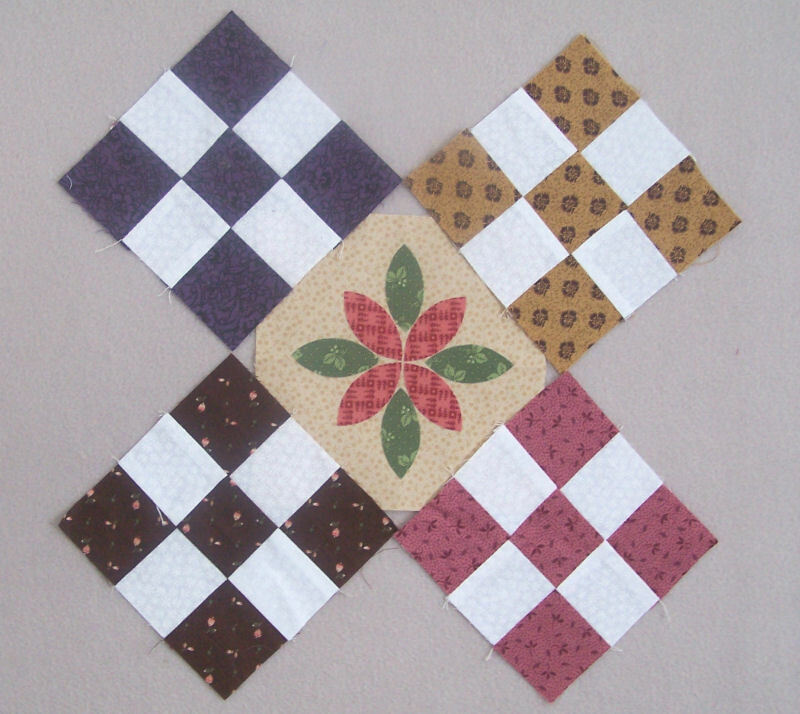 I wouldn’t have to include the applique hearts on every alternate block. I’m hesitating because I’m not sure I need another project that includes applique. I’ll decide what to do sometime next year. 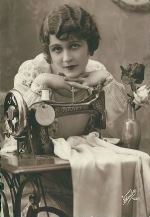 Maybe I’ll have one or two of my current applique projects done at some point in 2015. I do need another leader ender project though.